A university innovation and technology transfer office in the heart of Dublin city, DIT Hothouse offers guidance, funding and opportunity to entrepeneurs, investors and industry leaders. They required a complete overhaul of their existing website which involved an extensive review of the sitemap and content and a fresh new look to reflect their position as a top provider and developer of exciting new technologies. The layout of the site utilises the Hothouse brand colours to direct attention around the site and as a colour coding system. The option to make an enquiry appears on almost every page to ensure interested parties can easily make contact. I developed a number of templates to be used by DIT Hothouse across the site for pages such as FAQs, Success Stories and Current Companies. The colour palette was extracted from the DIT Hothouse identity. A set of elements was created to be used across the site. Fully responsive, the mobile navigation was a serious consideration due to the depth of the site. 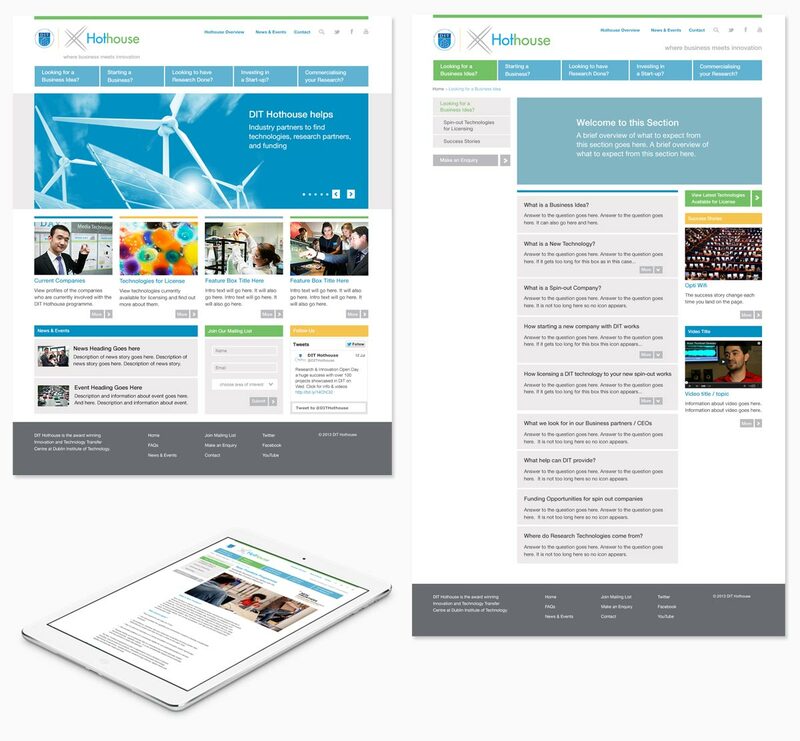 To aid the user, two layers of navigation are visible on the mobile version at all times – with the exception of the home page where it is not required.